Comforted by the fact that you have backed up your data, you are shocked to learn that your drive failed and its backup never happened. In a stooper you try to reboot hoping its just a random glitch. Nope. You then try to get used to the fact that if you want your data back you are going to have to pay, and pay big for data recovery. Hold on. You actually have a couple options left. There is no guarantee it will work and you may still have to pay at most about $200, but at least its not $2500. Possibly the fix is free. To attempt this recovery you must be crazy, cheap and desperate. I am all of those and have recovered 3 drives. If you have already lost everything then you really do have nothing to lose. 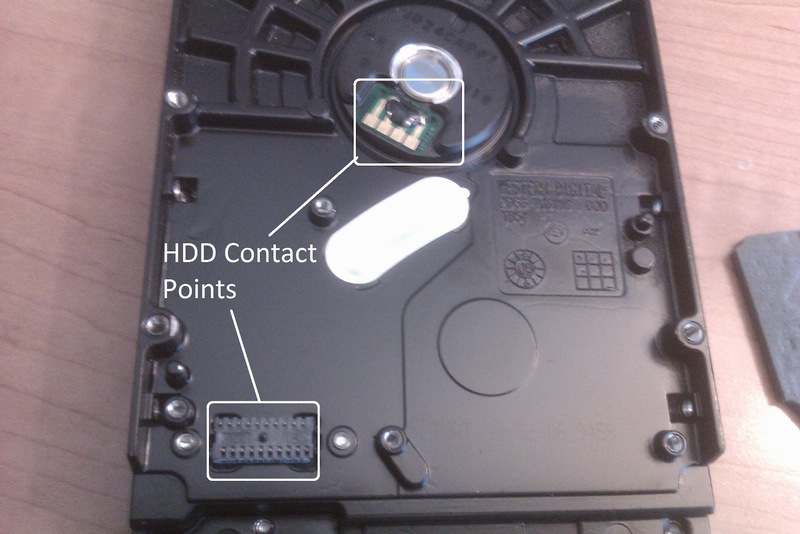 In their brilliance, Hard Drive designers decided that the best way to connect a sealed chamber (where the platter and heads are) to the other electronics and the PATA or SATA connectors is to use a pressure contact point. A technology invented over 100 years ago. Yes, your high-tech, 2 terabyte hard drive has contact points like an old model T distributor. <Heavy Sigh> Their solution to deal with dust and carbon build up ( a common problem with points) is to use a foam gasket that both evens out the pressure on the contacts and filters the air that reaches them. Bad news: dust conducts electricity. 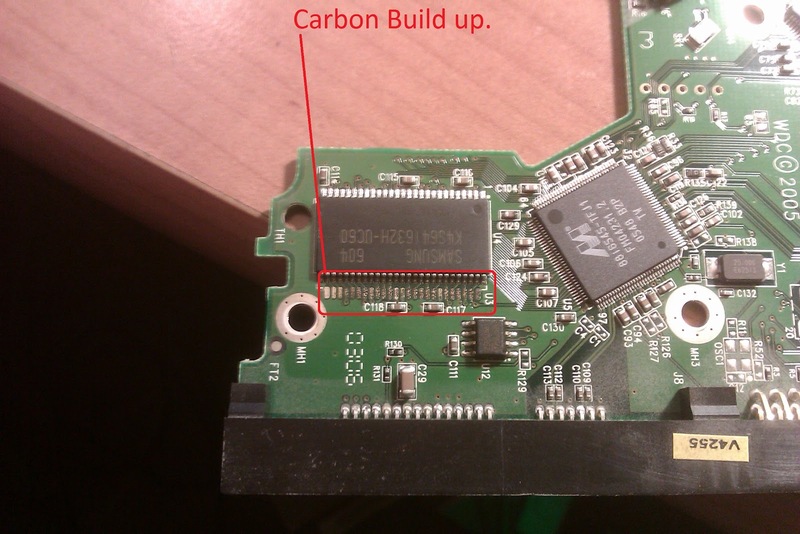 It is therefore possible that your hard drive firmware is either full of carbon and not properly connected or that it is just plain shorted out. If this is the problem, It is cheap or free to fix and you can do it yourself. You did not drop the drive. No impact damage. Tools needed: #6 Torx screwdriver, Mr Clean Magic Eraser or 600grit sand paper, Contact Cleaner Solution, cotton balls, and an external USB hard drive adapter. Use the Torx screwdriver and remove the firmware from the bottom of the drive. The carbon build up on the contact points and other places will be obvious. Clean it off with the Magic Eraser or sand paper. 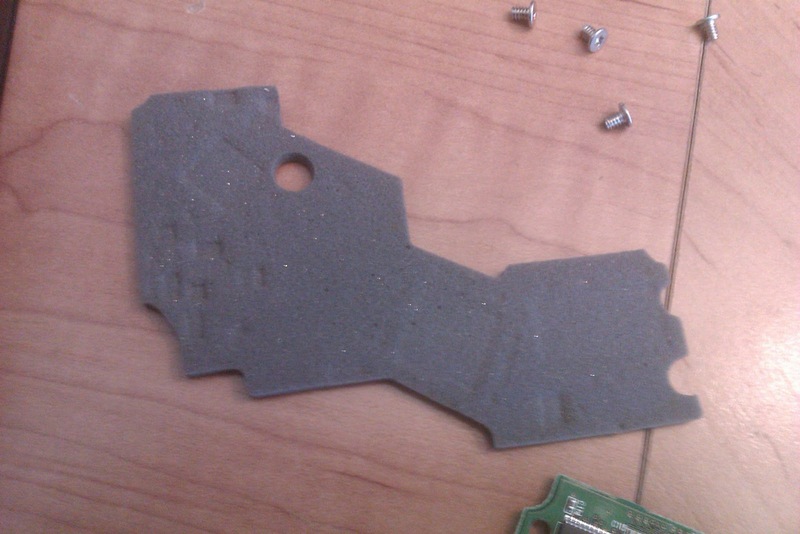 Notice that the foam gasket is full of dust. 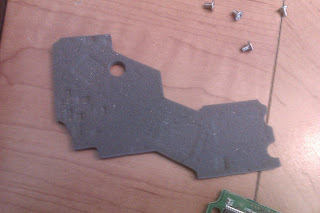 Shake the dust out of the foam gasket. Do not go nuts. Be VERY gentle. Wash the firmware down with the Electro-contact cleaner and cotton swabs. Make sure it is completely dry. If it works, then copy your data to a safe drive and then slap yourself for getting into this mess. If this does not work then go to option 2. Look at the pictures below and notice the circled numbers. 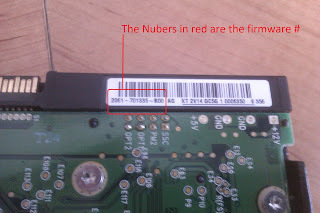 You need to find firmware with a number that match these as closely as you can. Match the complete model number first. Search for model number on Ebay and on Google. You will either find the firmware alone at about $35-$50 or You will find the entire donor drive at about $100-$200. If you have a feeling that swapping the firmware won't work then buy the whole drive. The matching donor drive will save you a bit of cash if you have to send the dead drive out for recovery. Move the firmware from the new drive to the old drive. Plug it in to the USB adapter to test. (Again, do not try to boot from it yet.) If it works, then copy your data and then slap yourself for getting into this mess. 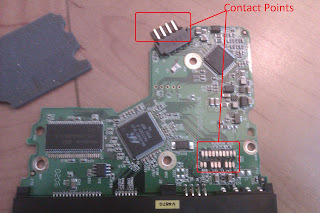 Remember, just because you can now access the drive does not necessarily mean it will boot. Firmware can be flaky. It can partially or completely fail. All you need is for it to work enough that you can get your data off. 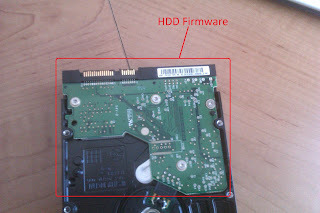 Now, before you start ranting about whoever made your hard drive, know that all desktop hard drives use this design. This type of failure can happen to any drive at any time. 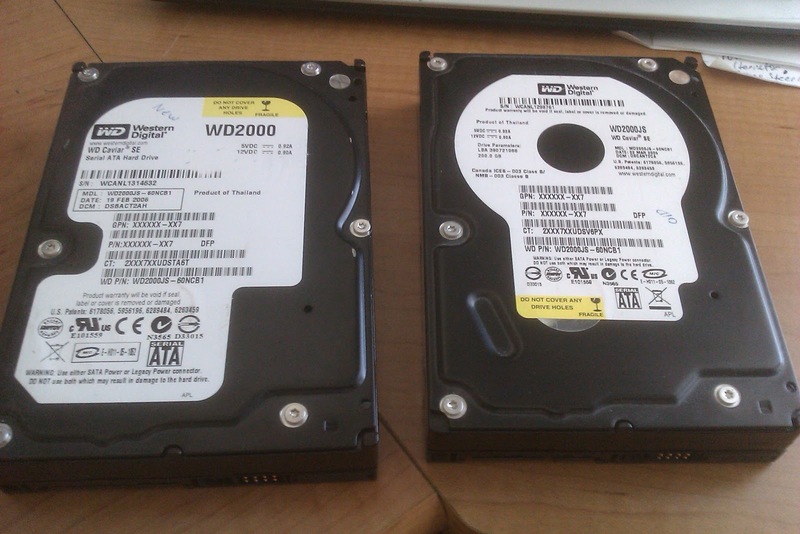 The moral of this story is that dust and hard drives do not go to together. So, clean your system! Or buy an SSD.